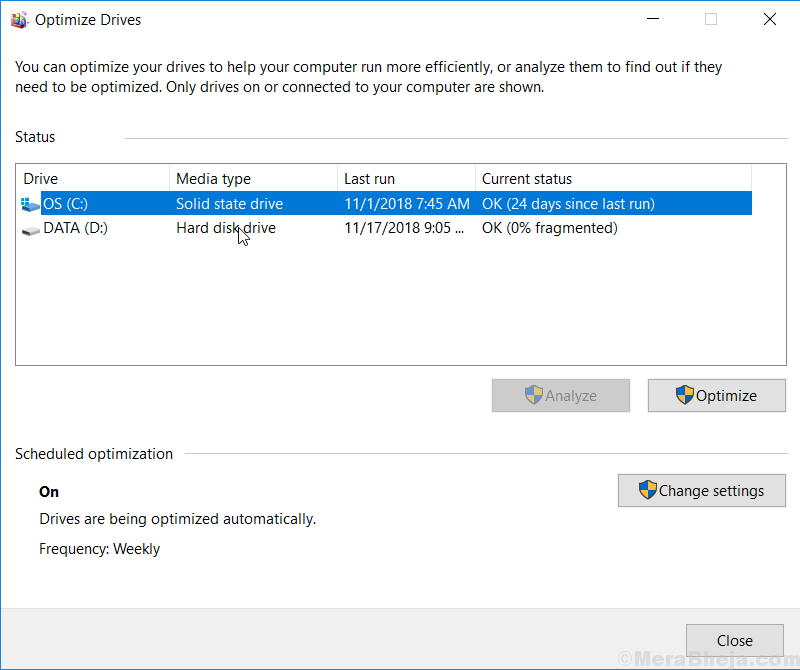 To determine whether your Hard disk or part of Hard disk is SSD or HDD there is a very simple method in windows 10. You can easily determine if your operating system resides on a faster Solid state drive or Older HDD. Here is how to do it. 1 – Search Defrag or Optimize in Windows 10 Taskbar Search. 2 – Once the Defragment and Optimize drives icon appears in search results, click on it. 3 – Now, this will list all your Drives and their storage systems. You can easily view which type of Storage drives are being used for which drive. You can also use a third party tool like Speccy and see a lot more information apart from it.